Middletown and Mechanicstown drivers don’t compare the 2015 Honda CR-Z to the 2015 Scion tC for long. With phenomenal efficiency, a strong range of features, and leading safety, the 2015 Honda CR-Z is an exceptional choice. CR-Z: The entry-level model starts at $20,145,* but manages to include a vast array of attractive standard features. Mesh sports seats and automatic climate control ensure comfort, while a rearview camera makes backing up easy and cruise control allows you to sit back and savor the journey. CR-Z EX with Navigation: Starting at $23,490,* the addition of a Honda Satellite-Linked Navigation System — featuring voice recognition control and FM traffic — ensures that you get where you need to go without falling one second behind. We’re confident that Middletown and Mechanicstown drivers will be able to find the right 2015 Honda CR-Z, but they won’t be offered any such choice with the 2015 Scion tC. Starting at $22,170, only one model is available, leaving less freedom of choice for potential buyers. 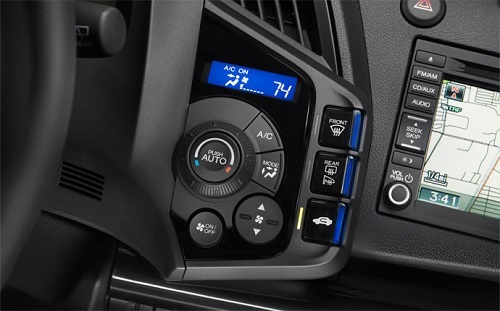 Standard features include 18-inch alloy wheels, air-conditioning, cruise control, and Bluetooth connectivity. The 2015 Scion tC enjoys a slight power advantage over the 2015 Honda CR-Z in terms of output, but that’s mitigated by the CR-Z’s lighter weight. However, while power iscomparable, the 2015 Honda CR-Z leaves the Scion tC far behind when it comes to efficiency. 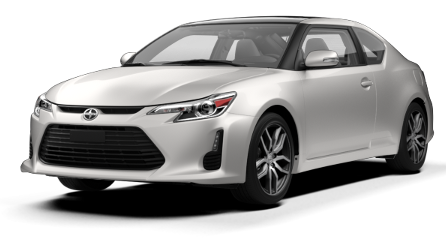 While the 2015 Scion tC allows drivers to make a maximum of 23 mpg in the city and 31 mpg on the highway – regardless of their transmission choice – the 2015 Honda CR-Z offers up to 36 mpg in the city and 39 mpg on the highway** with a continuously variable transmission. Even adding the racing feel of 6-speed manual will only see those numbers drop to 31 mpg city and 38 mpg highway. 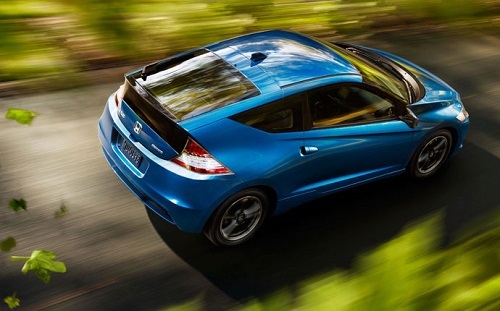 The 2015 Honda CR-Z is all about performance, but that doesn’t come at the cost of driver comfort. To ensure that your driving experience is as relaxed as possible, the CR-Z is fitted with several features as standard that are completely unavailable in the 2015 Scion tC. 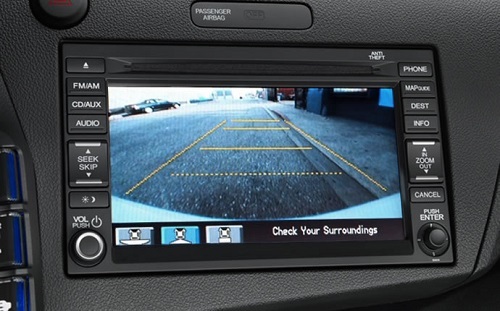 Rearview Camera: A rear camera makes parking feel effortless, and it’s become ubiquitous across the industry. However, no amount of money will include one with your Scion tC. Speed-Sensitive Volume Control (SVC): The Scion tC fills with road and engine noise while driven at speed. 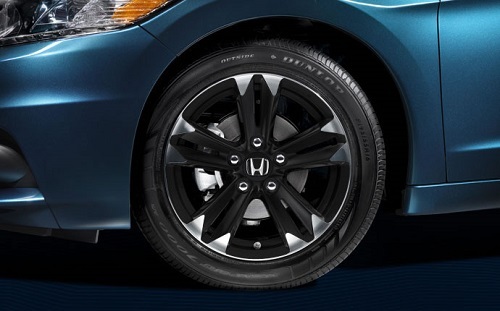 The CR-Z doesn’t suffer from the same problem, in part because of its innovative speed-sensitive volume control. Hill Start Assist: Engages automatically on inclines to hold your vehicle still when your foot leaves the brake. The 2015 Honda CR-Z boasts 49.1 cubic feet of passenger space to the 2015 Scion tC’s 88.4. However, the Honda shares that space between two people, while the Scion shares it between five, so overall comfort is stronger within the CR-Z’s cabin. Styling is also improved, with the CR-Z offering a more refined feel compared to the abundance of cheap plastics found inside the tC, while maximum cargo space jumps from 14.7 cubic feet to 25.1 cubic feet when you switch from Scion to Honda. 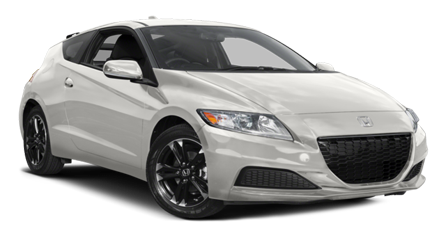 However – in addition to the added visibility and control gained by the rearview camera and hill start assist system – the 2015 Honda CR-Z possesses the enhanced durability of an Advanced Compatibility Engineering (ACE) body structure. Designed to direct impact energy away from occupants in the unlikely event of a collision, this body structure provides the type of protection which you deserve. The 2015 Honda CR-Z is currently available at Middletown Honda, so come down today to experience it for yourself. We’re not far from Mechanicstown, NY, and we hope to seeyou soon!